The whereabouts of its director’s head are currently unknown, which is a pretty solid concept for a horror movie in itself. But until F.W. Murnau’s decapitated cranium returns from its adventures, we’ll have to content ourselves with a Nosferatu remake. IndieWire reports that the remake—which will be the third cinematic version of Nosferatu, after Murnau’s 1922 original and Werner Herzog’s 1979 retelling—is being produced by Studio 8, which also, presumably coincidentally, is currently developing a cult thriller called The Brain Hack. Relative newcomer Robert Eggers, who made his directorial debut earlier this year with The Witch, has been entrusted with directing duties. The A.V. Club’s A.A. Dowd described The Witch as “a horror-movie answer to Arthur Miller’s The Crucible” in his Sundance review, and later praised the film’s carefully researched sense of place, saying “by placing…old tropes in an even older world—one archaic in speech, dress, and philosophy—director Robert Eggers somehow makes them feel new again.” So, at the very least, Eggers should be able to effectively recreate Nosferatu’s gothic milieu. 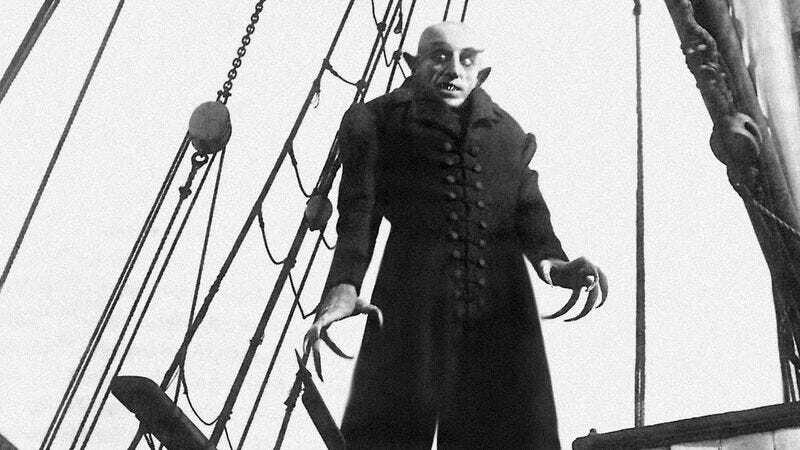 The Witch doesn’t yet have a trailer, but the original Nosferatu is currently in the public domain and can be watched for free in its entirety on the Internet Archive.